The months are getting warmer and I'm gearing up to sew some bathing suits this time around. I've only made a few, so I'm not an expert in the field but I can still share some sewing tips with you! 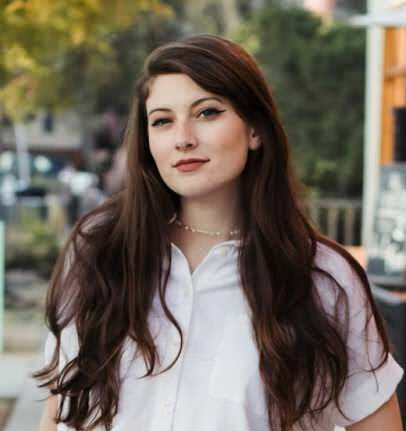 Consider this a post to help you get started with swim suits! As you all know, sewing a bathing suit means you are going to be working with stretchy, typically knit, fabrics. Although, there are a few bathing suits that seem to be made with something other than your usual stretch fabrics! There are two types of stretch fabric, two-way and four-way, and they are exactly what they sound like. Two-way fabrics only stretch in two directions when you pull on the fabric. Four-way fabrics stretch from any side that you pull. I'm sure there are a few sewing patterns that call for two-way stretch fabrics, but I would say generally you will be using four-way stretch. Always use what the pattern calls for! This one sounds like a no brainer, but I recommend working with patterns that are not only easy, but create bathing suits that are more coverage. I find working with stretch fabrics difficult because they are slippery, so in order to get used to this you need to have practice handling the fabric through the machine. I recommend working with a high waist bottoms like this pattern from Ohhh Lulu. She also has a tutorial on how to sew these bottoms! I know what you are thinking. You spent X amount of dollars on your sewing machine, so why do you need another machine? 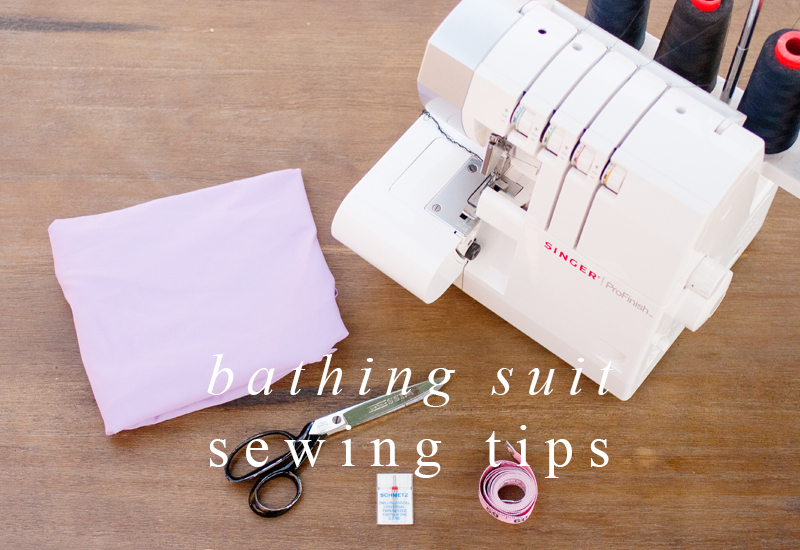 You don't have to have a serger to make a bathing suit (alternatives in the next point) but they sure help! 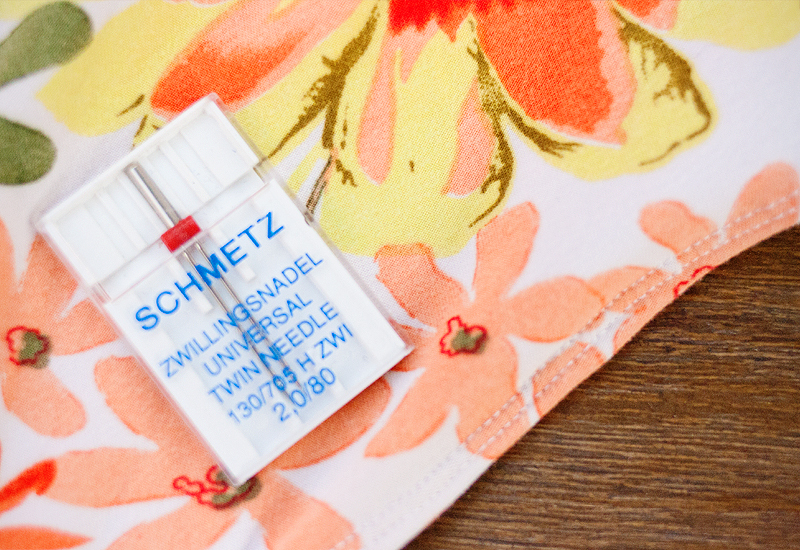 Sergers are great for sewing with stretchy fabrics and knits. If you do decide to invest in a serger, you will be happy to know that it will take all of your sewing projects to the next level. It's so satisfying to look at the inside of your projects and see the seams just as neat as they look on the outside. Personally I have the Singer ProFinish. Honestly I didn't do much research as I should have before my purchase, but it was on sale at Joanns so I just went for it. I do love my serger but I recommend reading up before you buy one! Once you learn how to thread the beast known as the serger, you will love it! Okay, so you are super sure that you do not want to invest in a serger...totally understandable!! Your new best friend is the zig-zag stitch. This stitch is great because it will allow your fabric to stretch. If you try and stitch with the straight stitch, you will cry many tears as your seams rip while you put the bathing suit on. This is a great alternative to a serger until you feel that you are ready to buy a new machine. Twin needles are really fun! I know that makes me sound like a sewing nerd but it's true. It's another great tool to have in your box because it can make your knit garments look so professional. The twin needle gives you that awesome double stitch, creating perfectly spaced top stitches. You can use this after you have sewn your elastic to your suit. The twin needle is for decoration, so it isn't necessary. Thanks for this sewing tips, I never thought about sewing a bathing suit until now! I just got my new sewing machine here, it should come soon.